Originally from Upstate New York, Amanda Middleton is a Roomex Operations Executive. She is a graduate of the prestigious Paul Smith’s College where she studied a bachelor’s degree in Hotel Resort & Tourism Management with a Business Administration Minor. While at college, a semester abroad in Florence, Italy, ignited Amanda’s wanderlust, and she fell in love with Europe. She later returned to explore more and her travels took her to Ireland where she settled in Dublin. 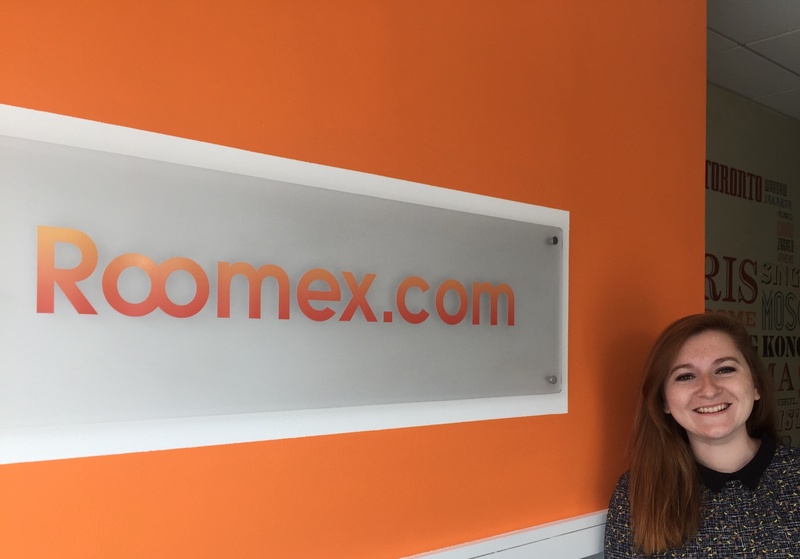 A chance opportunity with Roomex saw her secure a working visa and offered her the opportunity to gain hands-on experience in hotel management and technology, the intersection of which she has always been keen to explore. Roomex has over 400 clients across Europe including high-profile names like AIB, Compass Group, Cuisine de France, David Lloyd Leisure, Musgrave Group, Mercury Engineering, Kuehne & Nagel, MIB Group, KN Networks, Actavo, TGI Friday's, Quantcast and Sisk Group. The beauty of Roomex, according to Amanda, is that it is so flexible and highly-customisable. Each portal is uniquely branded with the clients’ details, and therefore acts like an extension of their own IT provision. This level of familiarity is something that makes everything easier when it comes to creating a seamless, time-efficient user-experience. Since Roomex has a database of over 650,000 hotels worldwide, the branded portals reassure clients that all the necessary information is communicated. Portals are set up and customised quickly - often within 48 hours - and the cloud-based system means everything happens remotely with minimal disruption. Clients can begin receiving the benefits of using Roomex almost immediately to control, save and gain total visibility on all work-related hotel spend. Amanda predicts that Roomex will only continue to flex and grow in complexity in terms of what it can offer. “As customers become more demanding it is important that we are ahead of the curve and continue to lead the way in this competitive sector”.